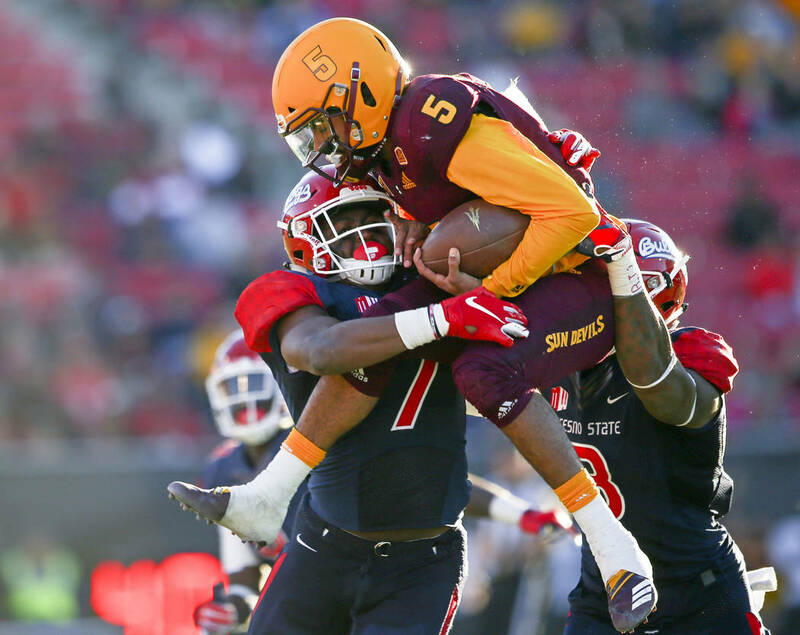 Fresno State’s defense initially was ignored for the part it played in the Bulldogs’ 31-20 victory over Arizona State before an announced crowd of 37,146 in Saturday’s Las Vegas Bowl at Sam Boyd Stadium. It was Bear Bryant who said offense sells tickets but defense wins championships. 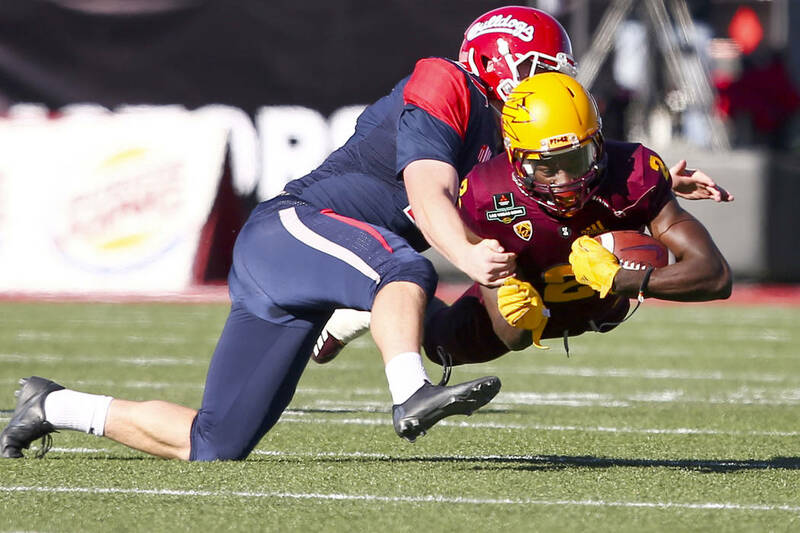 Statisticians and that Mouse Davis guy who invented the run and shoot offense will have you believe the second part isn’t true, which might explain why the Fresno State defense initially was overlooked after the Bulldogs’ 31-20 victory over Arizona State in Saturday’s Las Vegas Bowl at Sam Boyd Stadium. The ABC sideline reporter made no mention of the Fresno defense, which held the Sun Devils to a field goal and 63 yards after halftime. The slight, however unintended, continued when nary a Bulldogs defender was invited to the postgame news conference. But that didn’t preclude questions about defensive halftime adjustments that were either minimal, nonexistent, or not as simple as they might have looked. Linebacker George Helmuth, one of two Bulldogs defensive players who were later called into the interview room by popular demand, said he and his teammates kept getting caught out of position in the first two quarters, resulting in a 17-17 halftime tie. Adjustments? What adjustments, said fellow linebacker Jeff Allison, the Mountain West defensive player of the year. We don’t need no stinking adjustments. Fresno came in having allowed only 13.7 points per game, and its streak of 24 games without yielding 30 points was the nation’s longest, by far. But not all were convinced this was the reincarnation of the Chicago Bears’ 46 defense. In following the script, Fresno State’s first touchdown was scored by a defensive player. Anthoula “Tank” Kelly intercepted a pass and went 70 yards on the return, during which he broke more ankles than Allen Iverson on a dribble-drive. 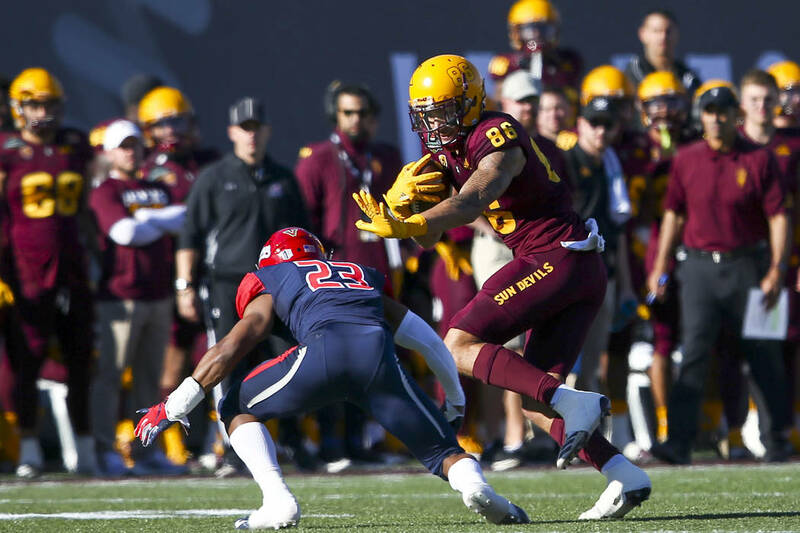 But during much of the first half, the Sun Devils made Reynolds look prescient by carving big chunks from the Fresno defense and going 6 of 9 on third-down conversions. 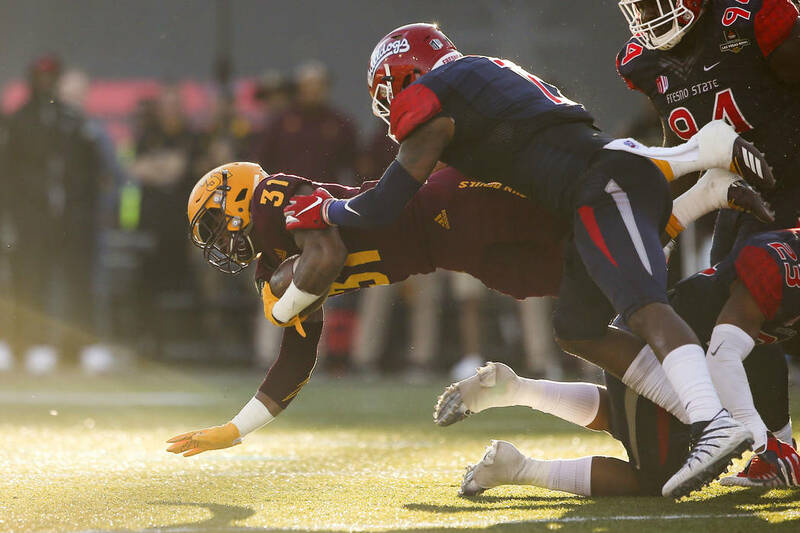 The Bulldogs were so dominant on defense after making minimal or no halftime adjustments that Fresno was able to overcome crucial offensive mistakes, such as fumbling away in the end zone and turning an apparent TD into a touchback. Guys who watch football on their sofas wearing leather helmets must have taken delight in the way Fresno State played during the second half, and the entire season, provided they can pull in Mountain West games on their laptop computers. They probably also remember the part Arizona State coach Herm Edwards played in the infamous “Miracle of the Meadowlands.” Instead of taking a knee and running out the clock against Philadelphia, the New York Giants attempted a handoff and fumbled, with Edwards returning it for a touchdown that ultimately lifted the Eagles into the playoffs. If Joe Pisarcik, the sad sack Giants quarterback on that day, was in the stadium by some chance Saturday, he must have left at halftime. 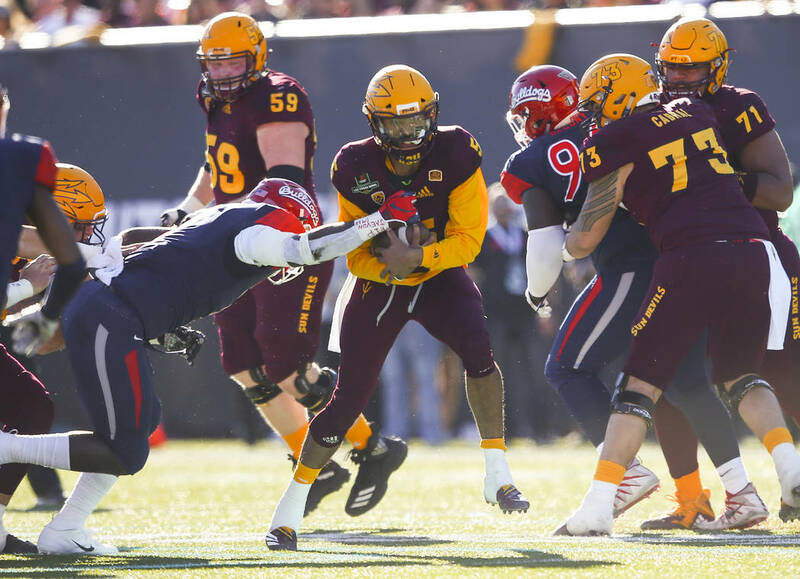 It would have taken more than one botched handoff for Arizona State (7-6) to win this one, given the way Fresno attacked on defense in the second half. I have a feeling that’s what Bear Bryant might have said, too.